I needed to paint large numbers of fish on several double page spreads. Using the image hose in Painter X an artist can create a "brush" that does just that. 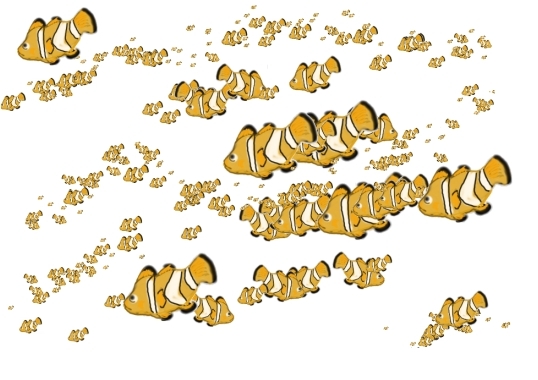 I painted some fish, changed the size and direction of several and saved them as an Image Hose. 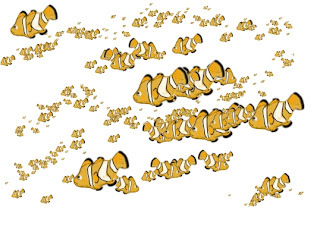 Now I can choose that brush in painter and spray little fish of several sizes anywhere I want them in my digital oceans. two because they are the ones I have had the good fortune to be able to illustrate. Recently Beth attended a festival and offered these books for sale. Her marketing strategy is worth noting. The tee-shirt she is wearing sports the cover illustration from In My Bath and the cutest rubber duckies accompanied the sale of each book. to be just as much of a hit and a whole lot of fun! 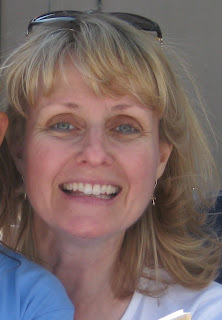 You can find out all about Beth and all her other books on her website at: BETH BENCE REINKE She is not only an author but a registered dietician who has written a number of other books and more than 100 articles that you will find interesting and helpful. Meet the flying phenom who never used a net. Except for his last performance.... one he will regret. 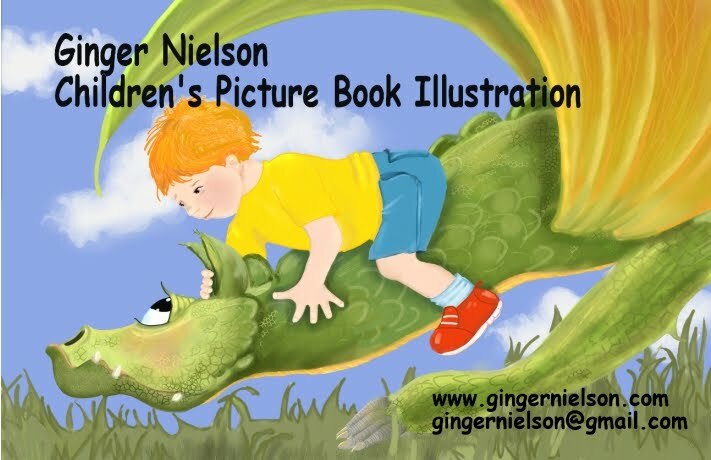 Children will create and decorate their own dragons. This craft is inspired by the Children's Illustrator's Group (CBIG) exhibit that may be found in the Children's Room during the months of September and October. For ages 3 and up. The library is located in Greenwich Village and is a treat for the eyes both inside and outside. For Map and Directions click HERE. 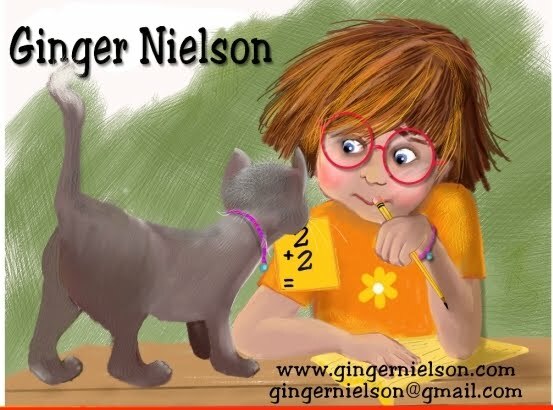 I found another really wonderful review of a book I illustrated. A Wish and A Prayer was written by Beth Bence Reinke. 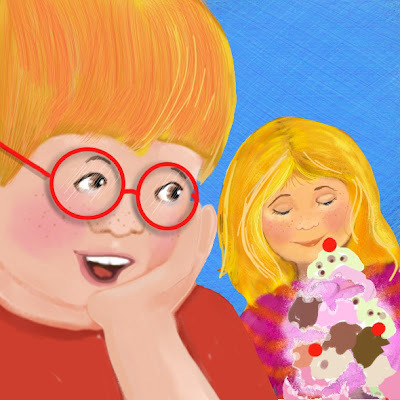 The review was posted on the Teens and Children's Book connection. You might enjoy reading about the book. 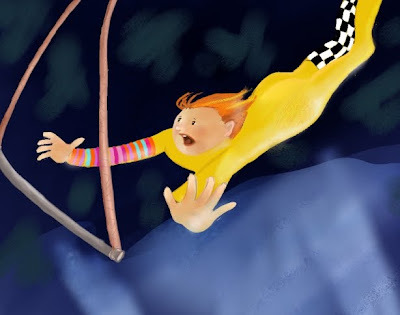 I found the story interesting to illustrate and loved reading it over and over. 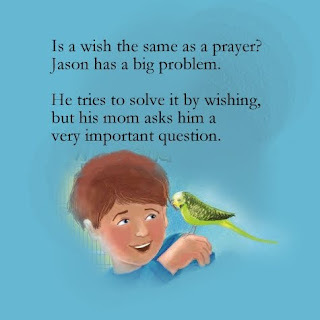 Addressing the difference between wishing for something and praying about a situation Beth has captured the feelings of a child who has lost something dear to him and actively seeks help in many ways to find it again. 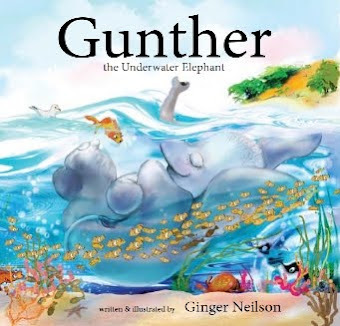 Ending with a trust in God and a gentle prayer, the story is beautifully told. 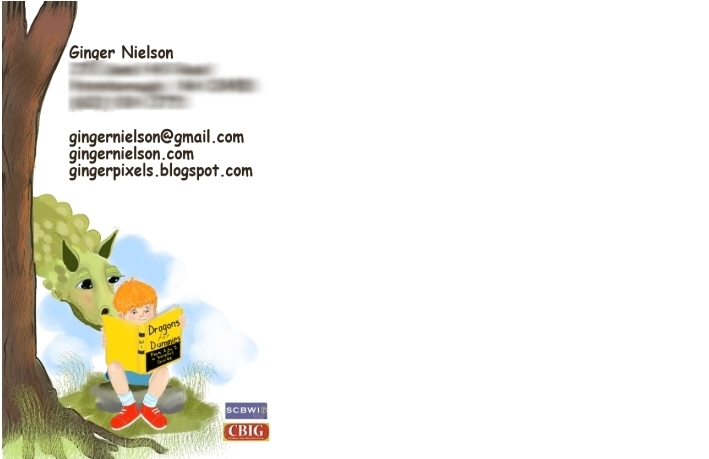 For the front of my fall postcard I decided to create a boy a little bit older than the one in my painting for the NY Public library exhibit. On the back, instead of How to Ride a Dragon 101, I substituted a useful handbook, Dragons for Dummies. I'm sure it will come in handy. And for anyone who wants to wallow in proverbs, here is a handy link. "how to ride a dragon ~ 101." 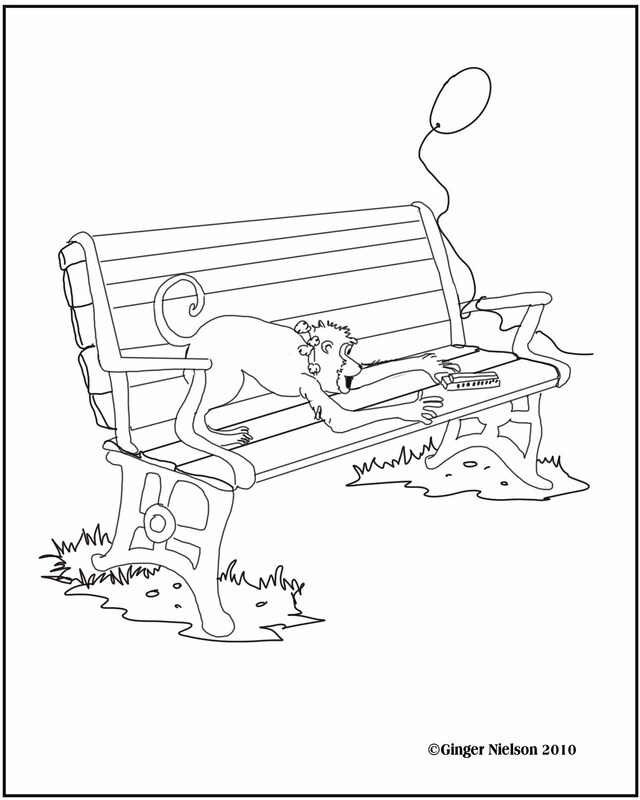 If you want to color this picture you need to click on it and download it to your computer and print it out. You can also leave it in the computer and color it with any paint program you might have. You can learn about the book, the author , Rob Dubreuil, and where to buy the book. 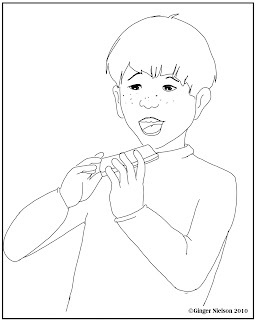 Included in Daniel's story are several pages of harmonica "music" that you can easily play. 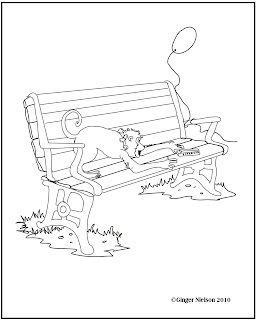 Another coloring page from Daniel and the Harmonica written by Rob Dubreuil. 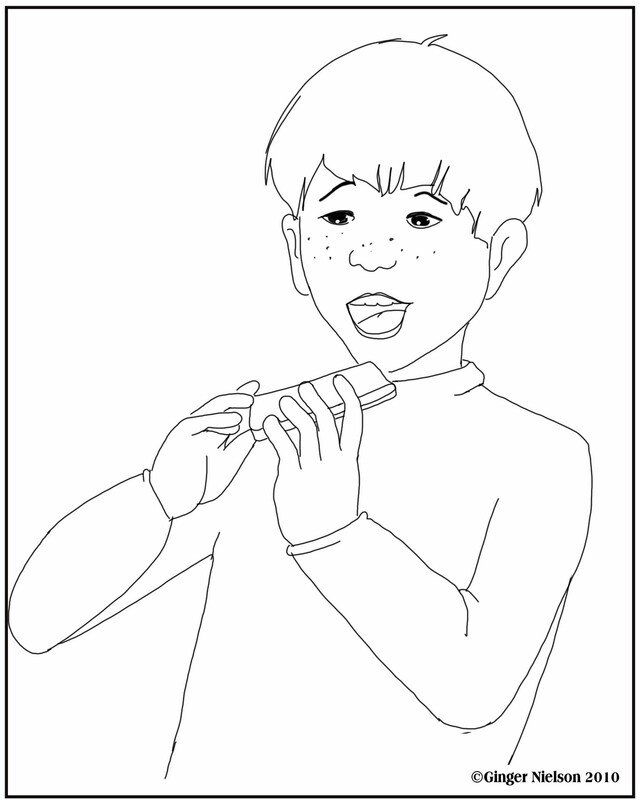 I have a series of coloring pages that accompany the book, Daniel and the Harmonica. You can download them here over the next few days. I'll be posting them one at a time. The book, written by Rob Dubreuil, will be available within the next couple of weeks (Sept. 28) and can be pre ordered now from the publisher or Amazon.com, Barnes & Noble, Books A Million or at any and all bookstores. 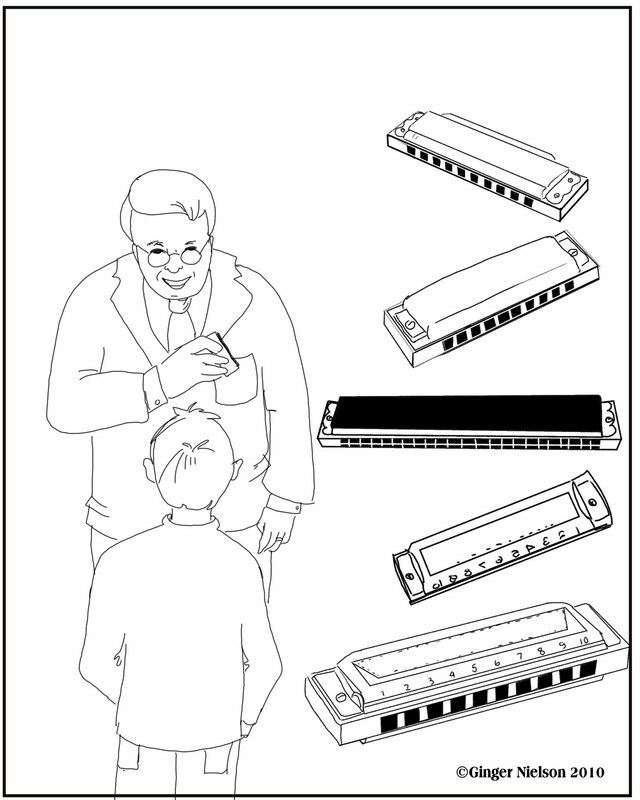 Since the book includes a few pages of harmonica notation, it is a great gift when paired with a harmonica. 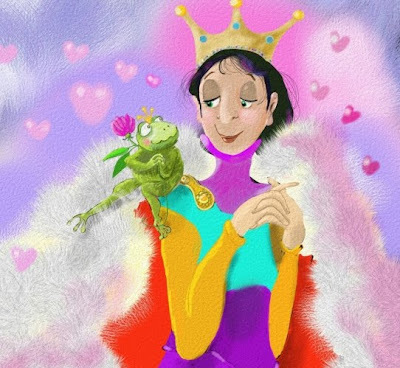 Beginning now and through Oct 29 there will be an exhibit of original artwork by the Children's Book Illustrators Group - NYC at the Jefferson Market branch of the New York Public Library. Nineteen members of the group will have original paintings on display with a number of them for sale. It is part of the celebration of the classic children's books The Reluctant Dragon by Kenneth Grahame and The Magic City be E. Nesbit. The works featured include a mix of materials from watercolor, collage, acrylics, oils and digital media. If you are in the area, be sure to visit the library and view the exhibit. Just a visit to this remarkable building is worth your time. 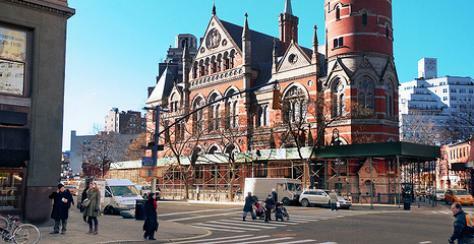 The stunning building has served the Greenwich Village community for over forty years. Originally a courthouse, the library was established officially in 1967 after a series of extraordinary events. The history of the building itself is worthy of a novel. If you want to find out more, click on the link to the library above. I was happy to be asked to participate in a series of interviews at the Visual Storytellers Studio Jill Bergman was kind enough to post a series of interviews with the members of the group. This week it is my turn to answer some questions and show off a tiny bit. I hope you will visit and take a look at all the interviews posted there. 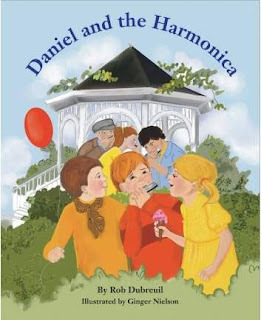 I received my copies of Daniel and the Harmonica by Rob Dubreuil and will soon be getting ready for our first book signing. 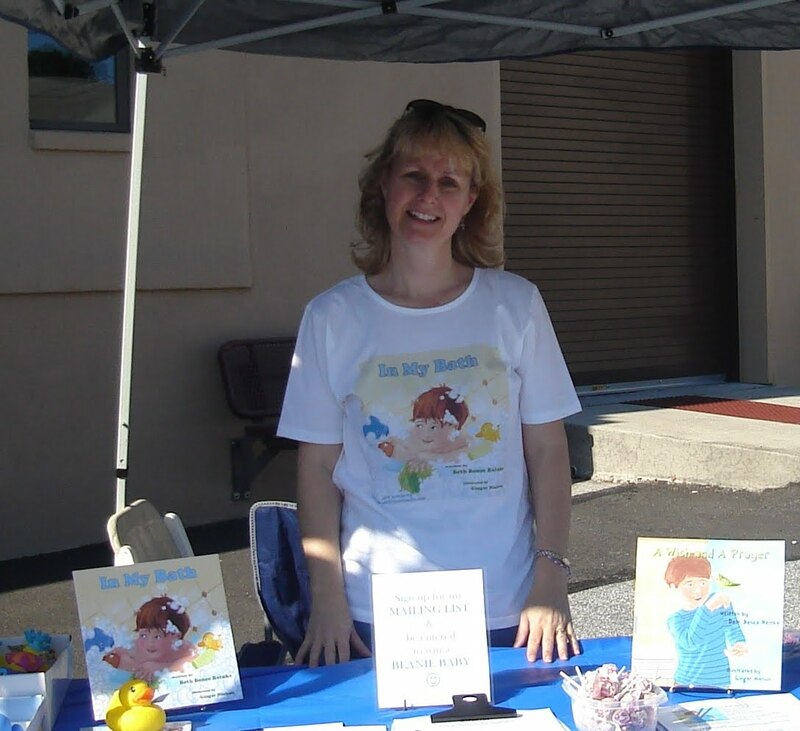 If you live in the area, we will be at the Milford Toadstool Bookstore on Oct. 16, (my birthday.... *:) and will have bookmarks to go with each book purchased. 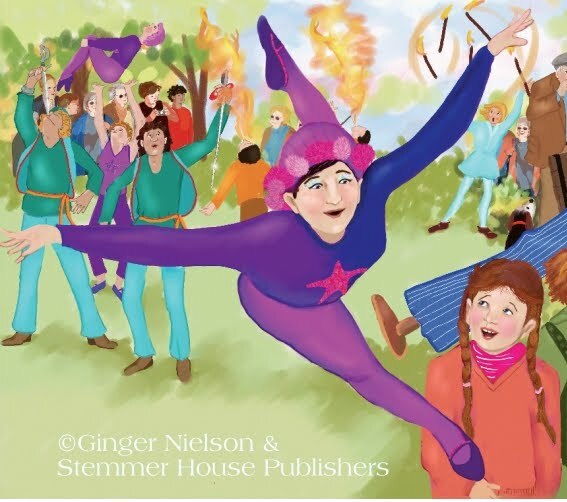 The book is available on the publishers website, Stemmer House, at Amazon.com and at Barnes and Noble. While I wait anxiously for our book signing I will be practicing my harmonica! 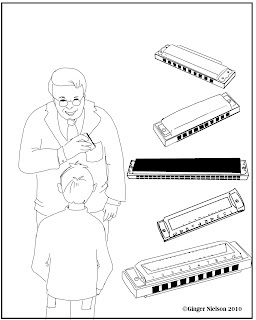 There are several pages of harmonica notation in the back of the book, so you will be getting an extra special portion of magic when you buy the book. A number of people I know are illustrated in some fashion in the book. I hope that those who I chose to create "images" for can find themselves in the book. Even our favorite mailman is featured on one page, he is singing his heart out! For those in our town who are pictured here and there within these pages, it is kind of like a Where's Waldo adventure. I hope people are able to recognize themselves. One person in particular is the editor who worked so generously with me. Dave Eisenstadter was not only my editor but worked at our local newspaper part time as a reporter. 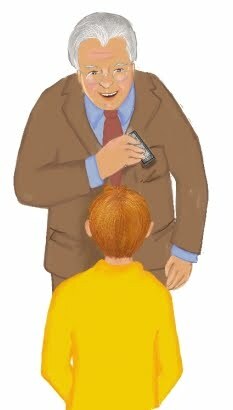 When I brought the dummy book to his office, he came out of the back room wearing a superman shirt. I returned a few days later with a pair of Clark Kent glasses for his shirt pocket. And, yes, he is in the book too, superman shirt and all, our favorite mild mannered reporter. I am sure you will be able to find him as well.